A must play for fans of chaos. Like most good things in the 21st century, it all started with a tweet. Mike Mika, a (then) relatively unknown name in the gaming world, tweeted out the message last January, and was not met with many responses. The next tweet, however, would be a stepping stone to creating one of the most enjoyable multiplayer experiences of the year. The same day of the original tweet, the above image was tweeted out, and Mike began asking where he could go with this. Enter Tim Schafer, who replied to the tweet and also gave Mike a much broader audience. Tweets began piling in, and eventually, #IDARB was born. To those that are new to the game, #IDARB is just a frenzied, chaotic game of hockey/basketball with some weird mechanics tossed in. As stated above, the game began as just a simple project for some friends to create, and has since spawned into something that can turn a room of 8 people into a room of screaming, shouting maniacs. 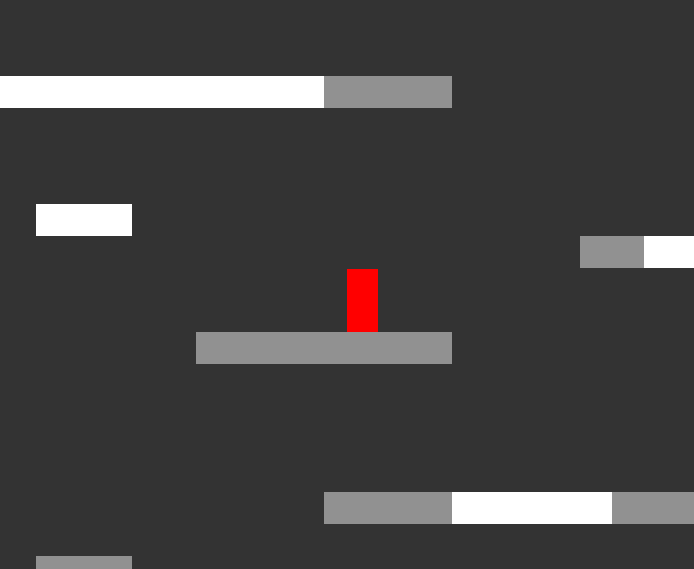 At its heart, #IDARB is a simple game. If hockey and basketball were to have a love child, this would be it. Take the ball from the middle of the map and score via shooting or running in it. Passing the ball creates a combo multiplier that results in more points should you score. The farther you are from the goal, the more points you get. This makes for some truly great moments when you can angle a shot just right and watch it soar in. That’s hardly all it is however. 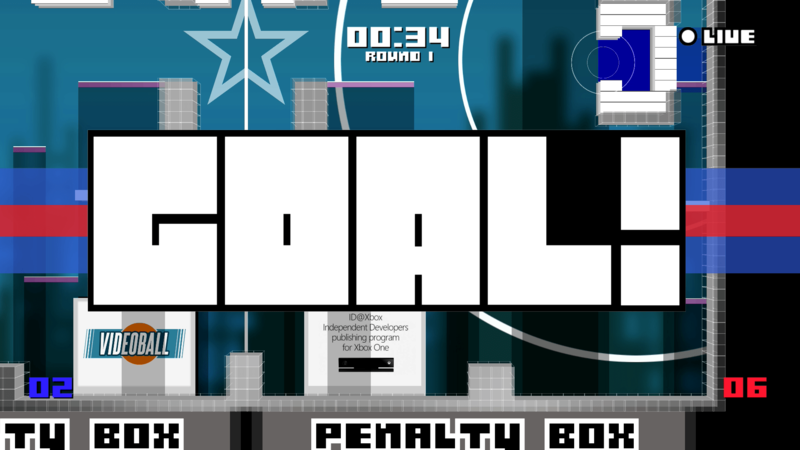 The game is based around being precise in your accuracy and insanely fast in your reflexes. Teamwork is the ultimate factor in #IDARB. Knowing where teammates will be, trusting them to intercept the ball from the opposing team, and creating game plans to win is how one succeeds in matches such as these. Add all these together, and you’ve got a game that’s shockingly simple looking, but couldn’t be anything but. The real charm of this game comes from how much it depends on a community to succeed. 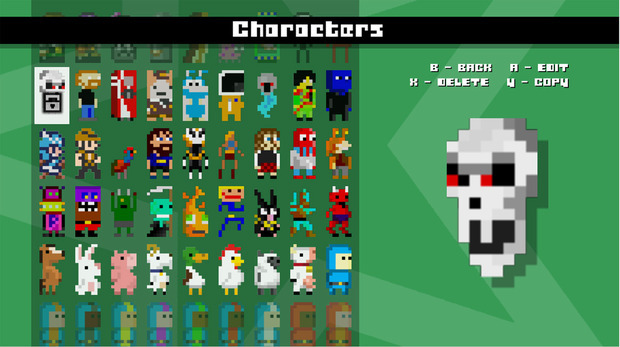 #IDARB has a sprite editor that lets you create an almost endless amount of players, and is very clearly designed with an audience in mind. Playing the game while streaming lets the audience get in on the fun and cause mayhem during your matches. If there was ever an example of a perfect “couch multiplayer game,” this would be it. Online multiplayer is fun as well, but with internet connections, a game such as this can suffer when someone is experiencing connection difficulties. At the end of the day, #IDARB is a perfect party game. I would highly suggest downloading it to your Xbox One (it’ll be February’s “Games With Gold” free game, so you have no excuse) or PC, wrangling up 4-7 other friends, and sitting down to enjoy a day of laughs. Should you be alone, or not know many people who will play this game, it will be extremely hard to find much fun in this title. This review of #IDARB is based on a digital review copy for the Xbox One provided by Other Ocean.